Our Samoa adoption program is full at this time. MLJ limits the number of prospective adoptive families invited to begin the program, as Samoa is a small country and consequently has fewer children in need of a family through international adoption at any given time. MLJ plans to welcome new families into the program in the future.Families interested in adopting younger children should consider our Bulgaria, Burkina Faso or Haiti programs. All adoptions in Samoa are completed through a collaborative effort with a Samoan attorney and foreign service providers, with strict compliance to Samoan law in regards to international adoption. They ensure all children legally available for adoption are classified as true orphans under USCIS definitions and available for adoption. Who Are the Children in Samoa in Need of Families? Children range in ages from infancy to teens. Both boys and girls are in need of families. Children are of Asian/Pacific Islander descent. Children with special needs are in need of families, including children with emotional needs and/or a history of abuse. Married couples and single women may adopt. If married, parents must be 23 – 55 years old. If single, parent must be at least 24 years old when filing the I-600A and 25 years old when filing the I-600 form. Currently referral times are 18-36 months after receipt of prospective adoptive parents’ 171H approval letter from USCIS, depending on age and gender requested. Wait times for older children are much shorter. Families are required to travel once at the end of the adoption process. The trip will include a stay in Samoa for five to seven days and an additional two to three weeks in Auckland, New Zealand to attend the embassy appointment and receive the child’s orphan visa. Why Use MLJ Adoptions to Adopt from Samoa? 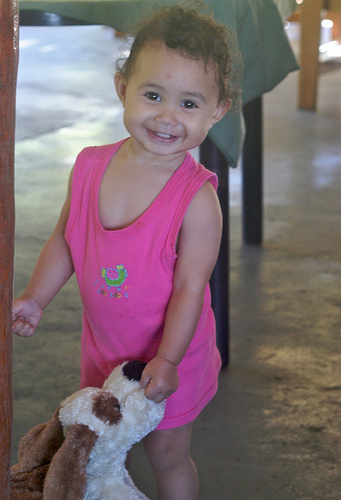 MLJ Adoptions is the only Hague-Accredited agency that works in Samoa. Our domestic staff and our foreign staff includes attorneys licensed to practice law in Samoa and who are well versed in Samoan adoption law, US Embassy practices and procedures and the US federal laws and regulations related to international adoption and orphan visa. MLJ Adoptions maintains a collaborative working relationship with SVSG in Samoa to place orphaned children in need of loving homes. SVSG is well respected not only in Samoa but in the South Pacific for their dedication to assisting victims and abandoned children. To learn more about how to adopt from Samoa please request information.